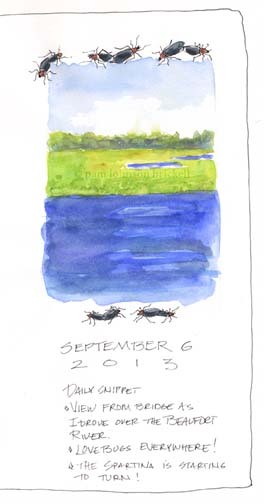 South Carolina LowCountry Nature Journaling and Art: Lovebugs Everywhere! So funny - there was a conversation about Lovebugs just last night in our house. My daughter is taking Terrestrial and Aquatic Ecology and has to do a 1/2 acre Site Inventory . . . she is doing a wet/bog fern type area nearby . . but somewhere the lovebugs came up. Our Grasses have turned a grayish hue, the goldenrod is a brilliant golden yellow right now and many trees are getting rusty and shedding their leaves. The levels and angles of the sun I notice a lot. 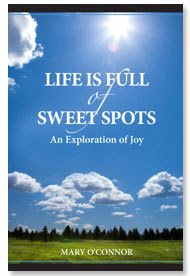 Hi, Pam, thank you for sharing interesting posts and sensitive sketches. We, Australians are getting into summer! I swam last Sat! Thanks for stopping by, Sadami! Looking forward to seeing your summer sketches!